Looking to learn line dancing an d or country..
Have taken few beginner courses. Looking for class as a single person. In a group and or private lessons ..... Would like at least once or twice a week. Monday or Tuesdays would be ideal ! 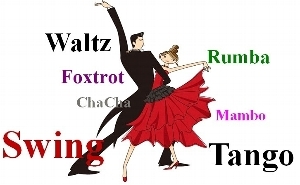 interested in a few ballroom type dance lessons for couple... as a gift for my guy... we like to dance, but it would be great to learn actual dance moves, steps etc... we are around 60 yrs age-wise...young at heart! My husband and I want to take dance lessons. We are beginners. We are looking to learn a dance for our upcoming wedding.